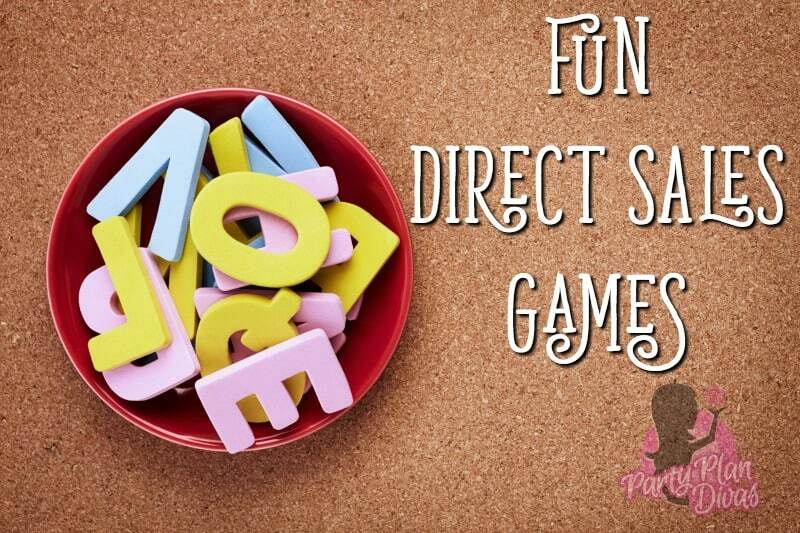 Are you looking for some fun and beneficial home party games to add to your direct sales presentation? Check out these party plan games that will keep your guests having fun while helping grow your business! With a New Year beginning, it is a good time to change up your Party Presentation to offer your new Hostesses and Party Goers a new experience at your parties with Fun Direct Sales Party Games. Plus, it makes it more fun for you if you have fallen into the monotony of doing the same thing over… and over… and over…. One way to change up your Party Presentation is to add some new fun games for your guests to play! Done correctly, Home Party Plan Games can be very beneficial to the success of your party! The truth is, the more FUN people have at your Home Party, the more likely they are to want to do it again! At the beginning of your party ask everyone to take out their cell phones and hold them in their hand. You will have yours in your hand as well. Tell them this is the easiest game to win all night! 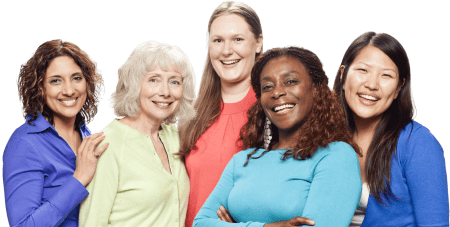 Ask everyone to dial in your number – call it out to them number by number – and then when you say GO – everyone hits call. Obviously, your phone will ring since they are all calling you – simply answer the phone to find the “winner” on the line. Give her a little goodie for having the “fastest fingers in the room” HA! THEN – while everyone still has their phone out, ask them to SAVE YOUR NUMBER with your first name and company – i.e. Lynsey Party Plan Divas, Su Passion Parties, Eliza Jewels by Parklane, etc. This will get guests talking to each other and your products. As each guest comes in, have each guest leave 1 shoe under their chair and put the other in the middle of the room. After everyone has arrived tell them to pick a shoe from the middle (not their own) and find the pair. 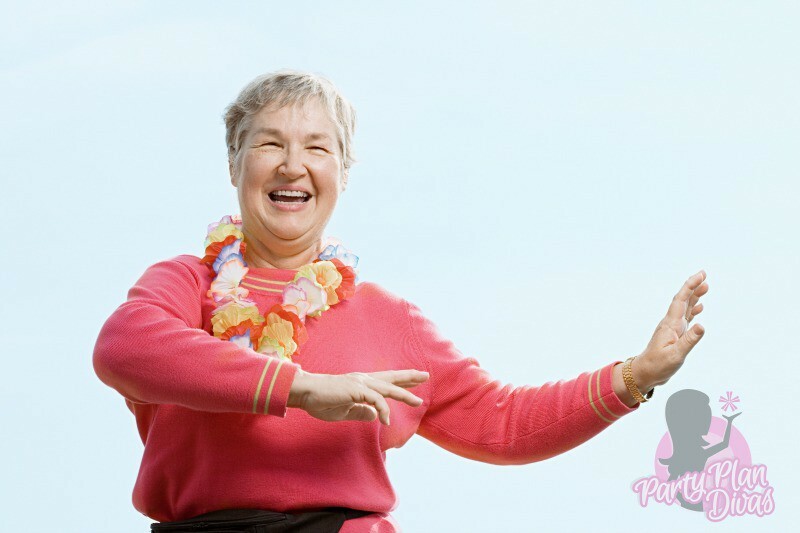 Once they find it, have them find out what their favorite _______ product is and 1 reason why they should book a party. Once they have done conversing, go around the room and have each person introduce their “shoe friend”. It will sound like this “This is Suzy’s Shoe, her favorite item is ______, and she should book a party because________. Write each letter of the alphabet on a 3×5 index card. Hold each card up like a “flash card” and give it to the person who yells out a word having to do with your business (product, opportunity, etc) that starts with the letter you held up! As your guests arrive, give every few people a small gift. (For example, you can give every 4th person a gift (or give out the gifts however you choose). As soon as everyone is sitting, tell the group about the “no crossing” rule. If a person holding a gift is caught crossing her legs, then she must relinquish her gift to the person who catches her crossing her legs. This game should be played for the first half of the party. At the halftime, everyone who has a gift gets to open it. (If a person who already has a gift catches someone with a gift crossing her legs, she can either trade gifts with that person, or choose a person who is “gift less” to give the extra gift to). Pass a spool o thread around to your guests and tell them to take as much as they want. Tell them you want to get to know them a little. Tell each guest to talk about themselves as they wrap the thread around their forefinger. When they teach the end they can stop. Start with your hostess. Go around the room till everyone is introduced. Have a wrapped prize ready for this fun game. Hand 1 person the gift and have them follow the instructions as you read them. Please, take your time and don’t be hurried. Give it to the one who is longest married. If this parcel you are bereft, give it to the one on your left. The largest earring I’m looking for now, if you’re wearing them, step up with a bow. Have each guest write down an item in their house they need to repair or replace. Then have them list 5 simple reasons they want to get rid of it. Now have them cross out the item and place their husband’s name in that place. Go around the room and have each person read aloud “I want to replace (husband’s name) because he…. (the 5 reasons). As you reward your hostess with a gift for inviting you into her home, also adorn her with 3 lei’s. For the 5th one you can say, “there are 2 free boxes, 1 for booking a party today with me and 1 for becoming a consultant today, please fill those squares in if you would like to do either.” Continue to draw product cards till someone says BINGO. 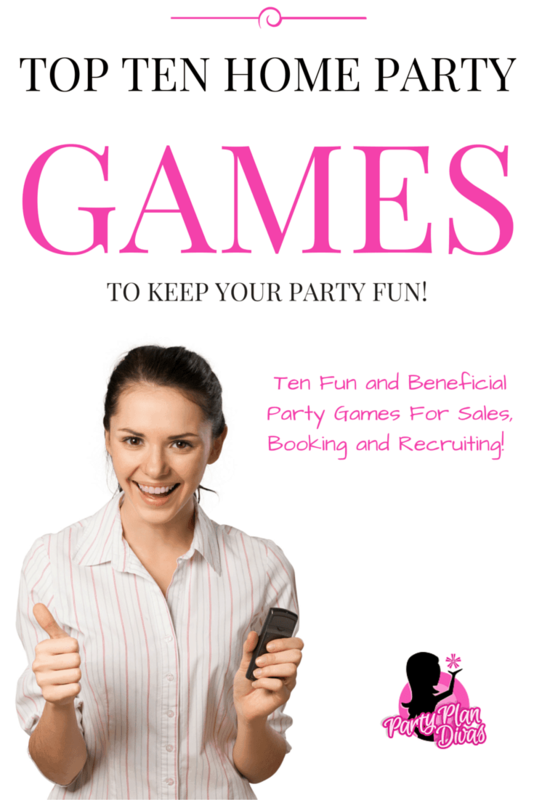 Join Party Plan Divas for more games, tips, and ideas for boosting your Home Party Plan Business!